About 4 years ago I suggested that 1,000 True Fans might be able to support a working artist. In my modest proposal I pointed to some brand new websites that harnessed direct, unmediated, funding by fans. They did not succeed. But in the intervening years Kickstarter, which did figured out how to do fan-funding at scale, has gone viral. Everybody is Kickstarting. To date Kickstarter has enabled tens of thousands of projects to collectively raise over $200 million from fans. That’s more than I would have dare guessed 4 years ago. Today I launched my own Kickstarter fund. The main reason I’ve join the army of Kickstarter hopefuls is to raise funds for a concluding book to the 210-graphic novel about angels and robots I have been working on for 8 years — which also launched today for free. But it is also partly to explore what audience-funding, user-financed, crowd-sourced VC’ing is all about. I am convinced that 1,000 true fan pre-funding is a BIG DEAL, and may prove to be a disruptive force in a networked world. Anyway my project, The Silver Cord book, is my first try at fiction. The story concerns the clash between self-aware robots and millions of species of angels. Some call it spiritual fantasy, but I call it a techno-epic. It may interest you speculative types. This Kickstarter program is sort of a test to see if any True Fans show up. The deal is we are giving away the first 210-page graphic novel for free. You can get the entire book on the web. (Or you can purchase a hard copy on Amazon’s Createspace.) 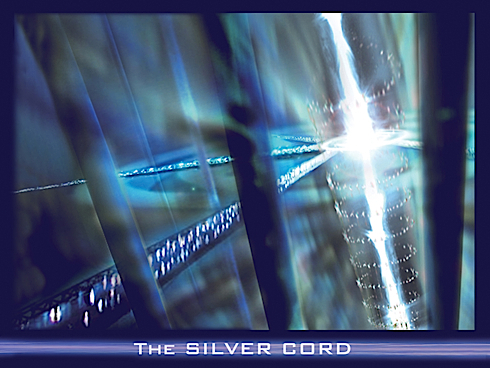 But I hope those who enjoy the first half will want to finish the story and will fund the concluding book at our site, The Silver Cord.